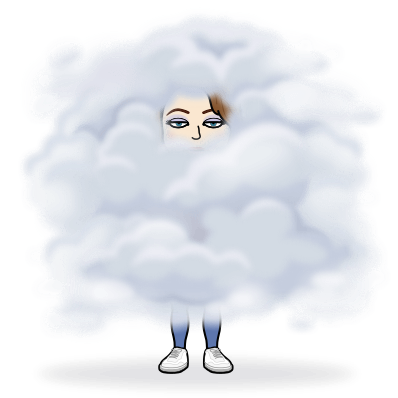 Brain, or “Fibro Fog” in some cases, is an often debilitating symptom related to a plethora of chronic illnesses/diseases/syndromes/conditions: fibromyalgia, CRPS, chronic migraines, CFS, MS… the list goes on-and-on. One second you’re hyper-focused on something important. The next, a random, blurry flash of something that happened 10 years ago stomps through your mind. Then, something that happened yesterday elbows in, further disorienting you; song lyrics from a song you can’t even name joins in, and before you know it, you can’t remember your original thought or focus on any of the others. Wait… Isn’t that ADHD or ADD? ADHD, ADD, Fibromyalgia, Chronic Migraines, Depression, and so forth, are conditions, syndromes, or diseases. Brain fog is a symptom or piece of said maladies. An annoying, restrictive piece that if given power, can transform our lives into mere existences. I have visited the Land of the Barely Living more times than I’d like to admit along my chronic illness journey, and no doubt will return again. Chronic illness has a way of trapping us in a loop of grief stages. Much like a rickety Ferris wheel: sometimes up, sometimes down, far too often stuck up high in a rusty seat, nail digging into my hip with no control over any of it–waiting on the temperamental ax-wielding Carnie to set me free. So, what are the perks to this aggravating fog, you ask? Proof you’re a badass! If you can function through brain fog, you can do anything. Daily brain fog has armed me with the ability to sometimes stare a brain-melting migraine in the face and laugh at its attempts to destroy me. The bliss of not being able to focus on a single problem too long. Perhaps brain fog is our body’s way of telling us we need to stop overthinking. Alerts us to possible vitamin deficiencies. Severe vitamin deficiencies can make us feel sicker than we already are, and brain fog is the squeaky wheel that may finally force you to get checked. Vitamins won’t cure us of our chronic illnesses, but the right ones can ease certain symptoms and make us feel a little better. Previous Are “Old-Fashioned” Book Promotions Still Effective in 2018? Next Watch my “Spoonify_Your_Life” Series on Youtube!